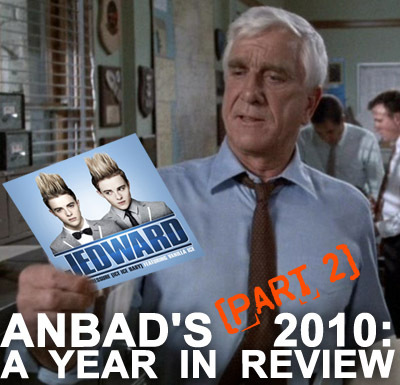 Looking back over a whole year of bands is a sobering experience, partly because there are so many of them, and partly because I can fairly accurately calculate just how many days I have spent over 2010 writing about new bands. I won’t publish that figure. I value my sanity too much. The default musical setting for this writer – that is, a preponderance of jangling Indie bands that might easily have harked from 1989. The words “lovely”, “delightful”, “whelped”, “swoon” and “jittering” – words that I never use in real life, abound in my more florid reviews. Regardless of these foibles, here is the second group of runners-up – the bands that didn’t quite make the Top Five. Posted on December 17, 2010 by Joe Sparrow. This entry was posted in Featured, Featured Articles, Headline. Bookmark the permalink.